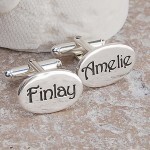 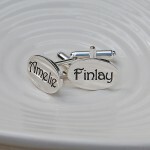 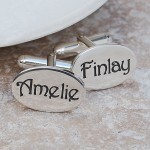 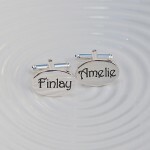 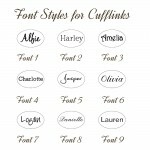 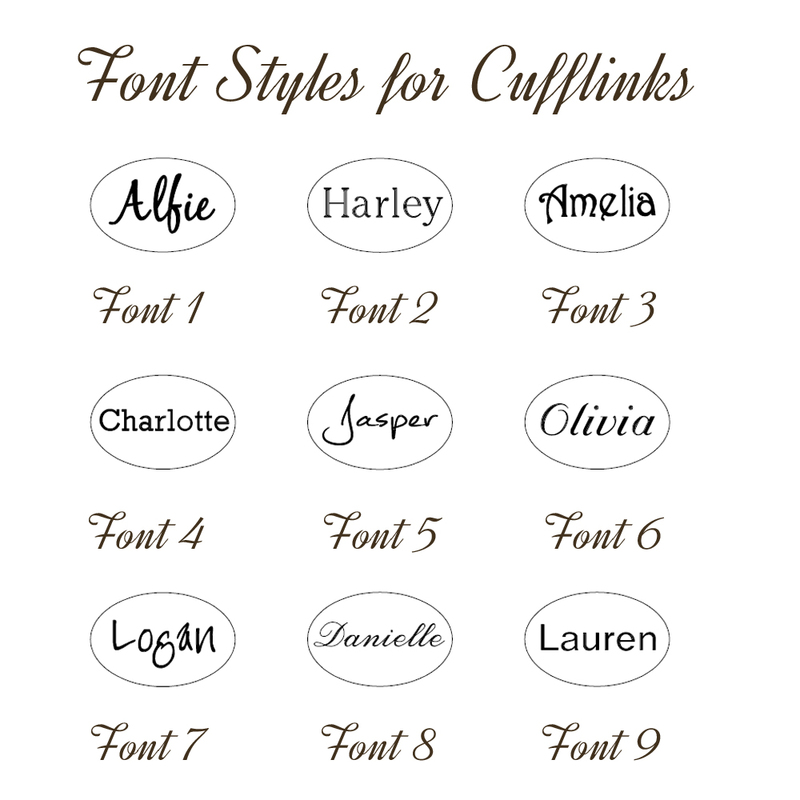 Handmade solid silver oval cufflinks personalised with the names or dates of your choice in a choice of font styles. 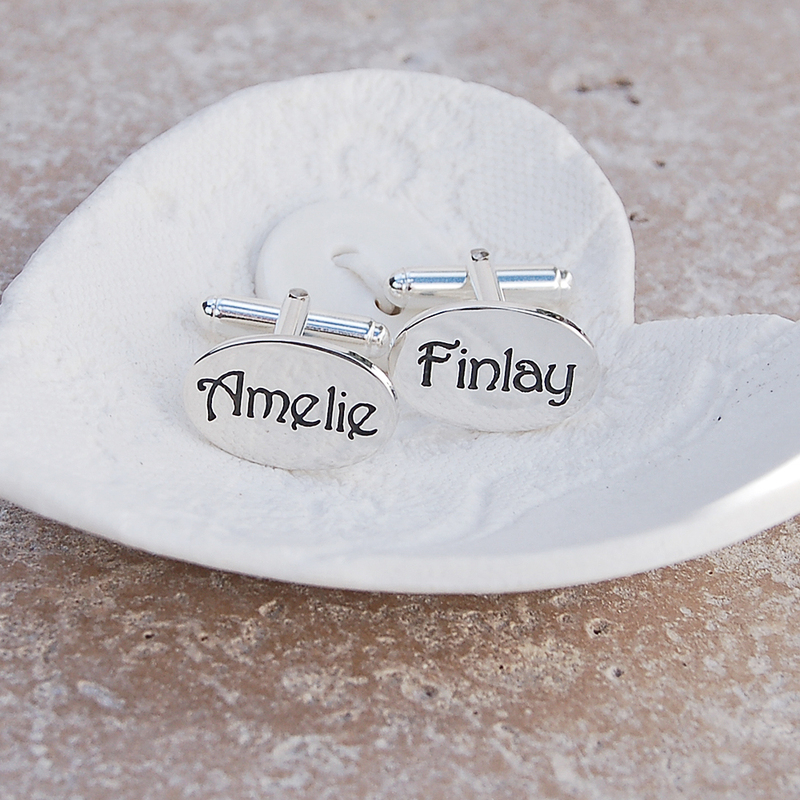 Treasure special people and keep them close with these high quality handmade sterling silver oval cufflinks which can be personalised to make them even more unique to the recipient. 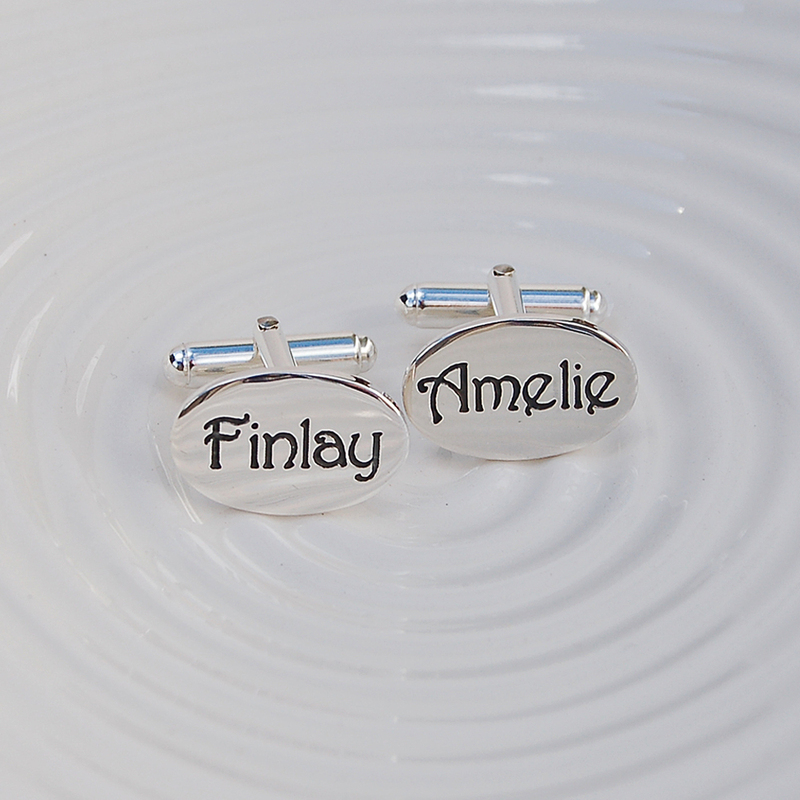 The perfect gift for a special person, whether it is a birthday gift for a dad, grandad or uncle or to celebrate a wedding or anniversary. 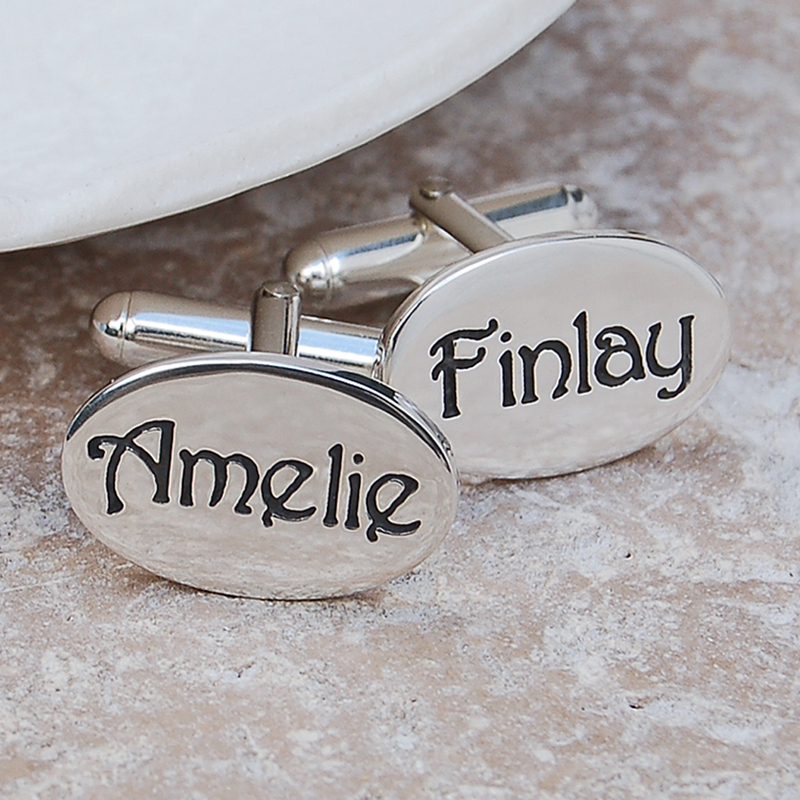 Each cufflink can be etched with a name, initials, word or date up to 8 characters and you can have each cufflink different or the same. 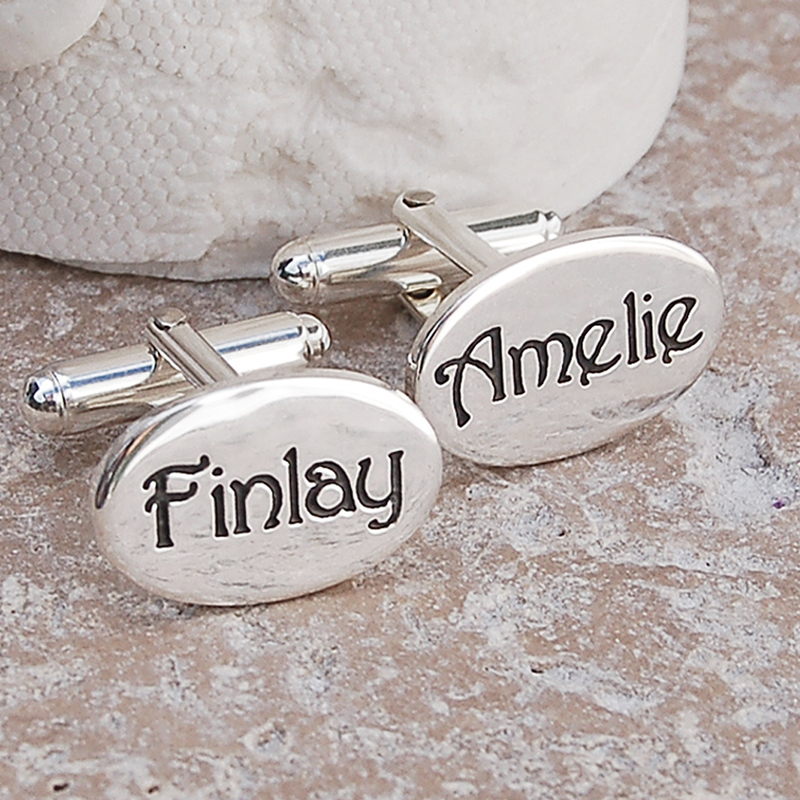 And you can choose to have the lettering oxidised (blackened) as shown on the main product image, or left silver. 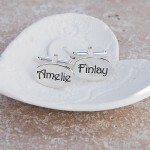 Our solid sterling silver oval cufflinks measure 20mm long x 13mm high and are a lovely 1.5mm thick. 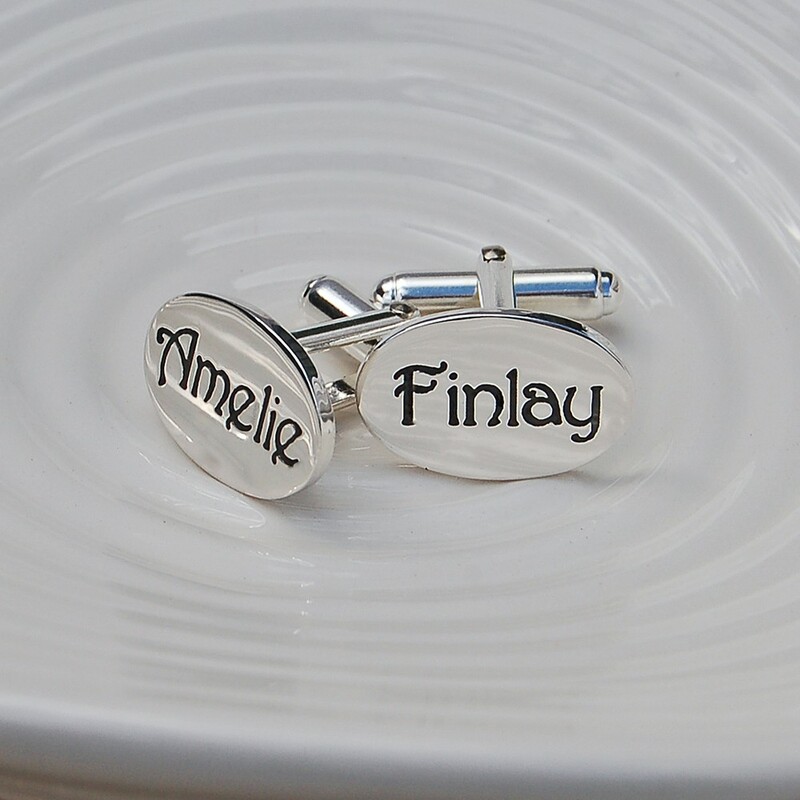 Classic sterling silver cufflink fittings with round bars are soldered onto the back and each cufflink with the fittings weighs jut over 4.5 grams.